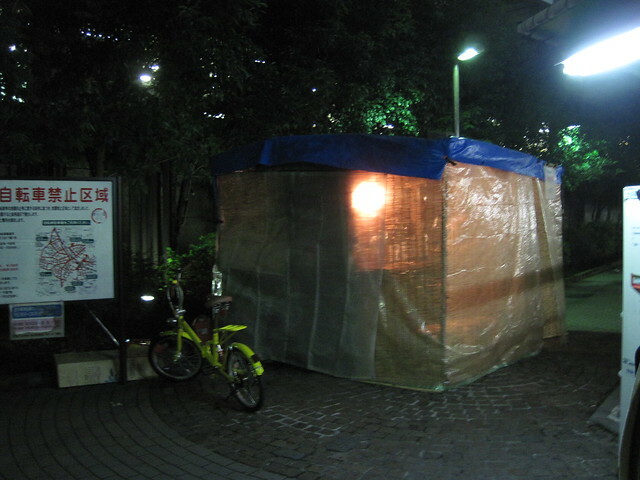 It reminded a morning rush train. 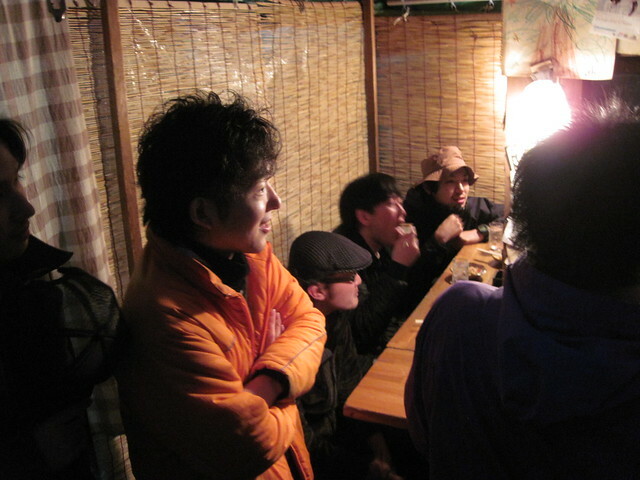 Packed with overwhelming number of people in a tiny space, temperature rising by the rub of human flesh, and hence, there's not even a inch of space to move around ---- yet, this is quite an edgy experience. 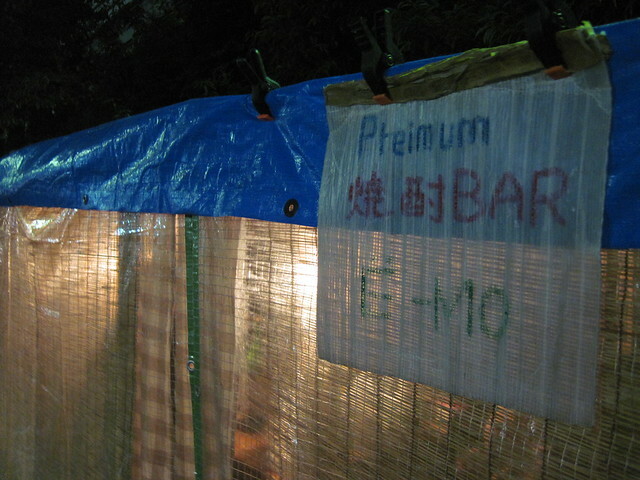 As reported on the previous article, Mie Suzuki, one of EDGY JAPAN's friends and a talented designer, hosted one day food stall master in Shibuya -- called Premium Shochu Bar E-MO (emo = sweet potato, as they only serve sweet potato shochu). 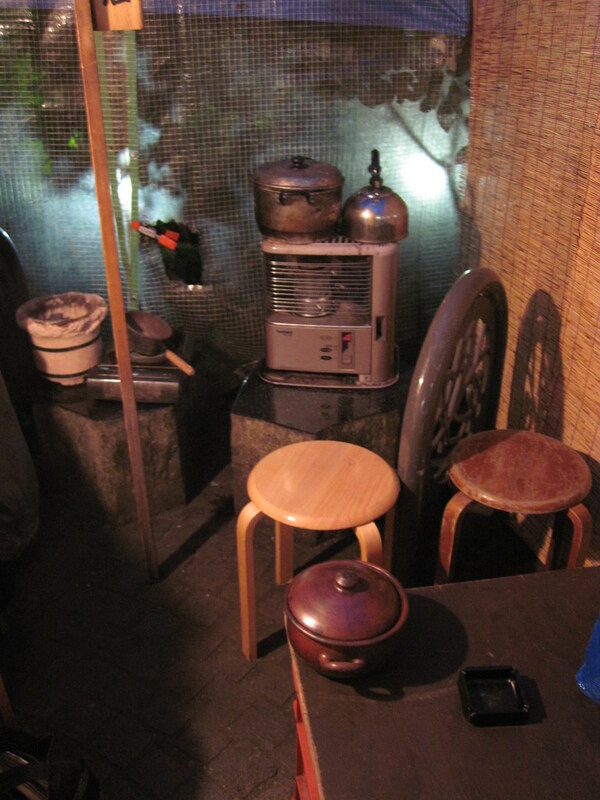 The stall has about 10 seats, and right after the opening of the stall at 2130, the place was filled with 15 people immediately. 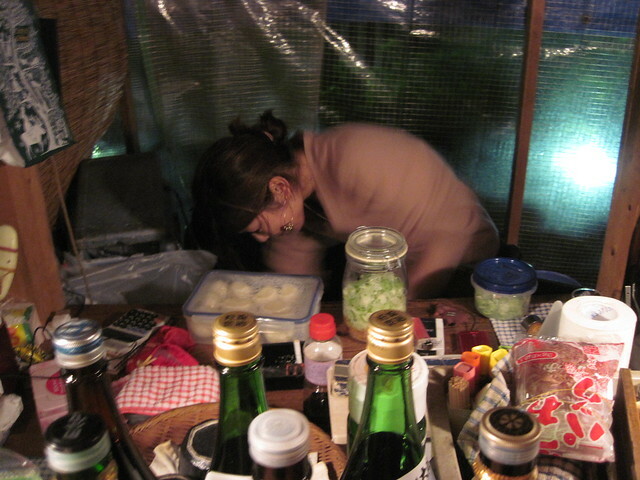 The 15, all enjoyed glasses of sweet potato shochu, with Mie's self-prepared dishes -- salad, chicken, and bean-curd. 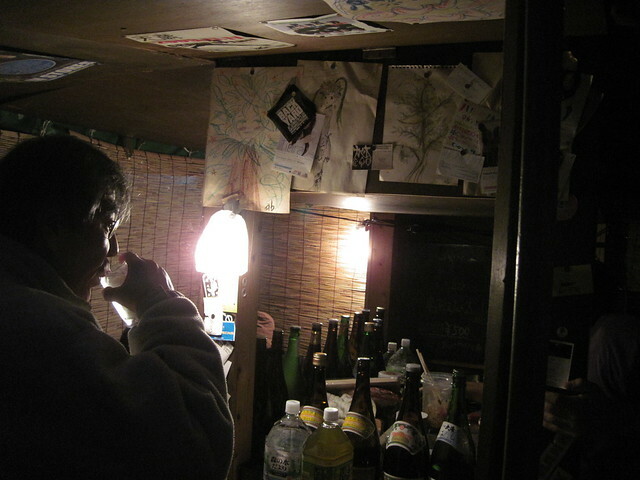 Only sweet potato shochu available. 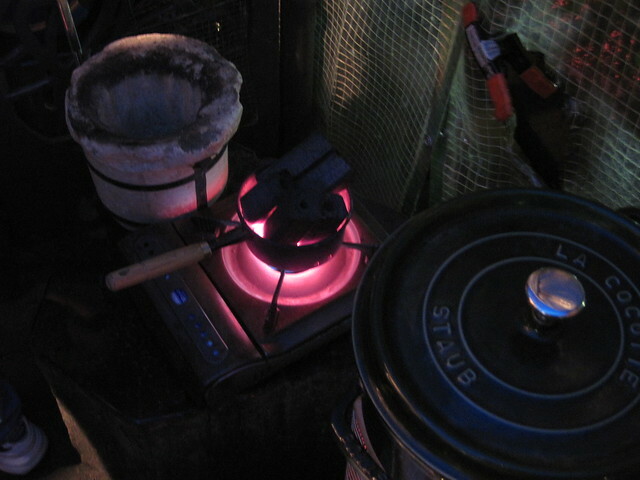 The stall is well-equipped, with an oil powered heater acting as a stove and charcoal-powered heater. 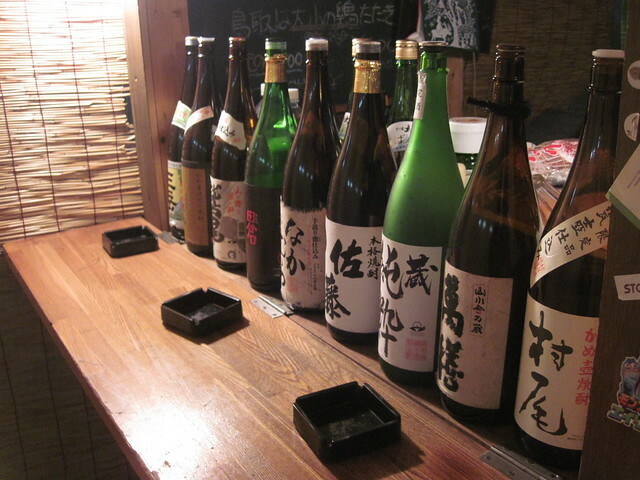 If you want a glass of shochu with an experience, this is a place to be. 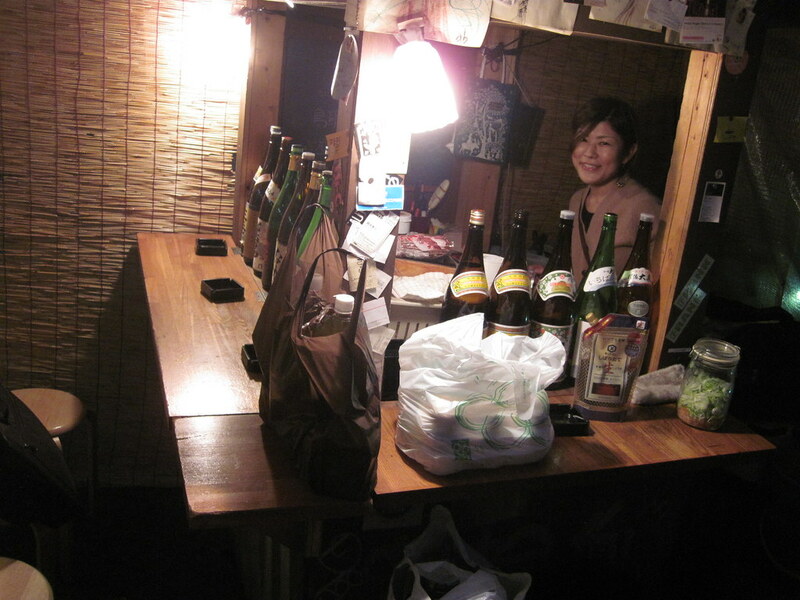 Because of the proximity, you'll surely make a couple of friends after a few glasses.